Superhero comics were created to boost the image of whites as the world’s progenitors and purveyors of justice, peace and security. Likewise, Hollywood has earned its reputation as the quintessential flagbearer of American cultural imperialism for well over a century. The two cultural agencies have had a long, intimate relationship. Their mission has not changed. It is therefore worthwhile to consider critically how Walt Disney’s blockbuster film, based on Marvel Comics’ superhero, Black Panther, has taken the world of cinemagoers by storm. Photo: Actor Chadwick Boseman plays the role of T’Challa in the film Black Panther. As is customary with blockbusters, the euphoria is being masterminded partly by record-breaking promotional hype, intensified after the premiering of the film last week. Having only accessed previews of the film and cable interviews of the leading performers, I am unqualified to critique the film but I reference it, nevertheless, because it is an ideal blurb to the sequel to my last column on Black Power that is totally unrelated to the film. 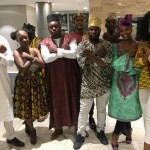 The main actors and actresses in Black Panther concur that it is a manifestation of African potency historically denied by a large segment of the world’s population. Film critic, Billy Niles, describes the film as the “first-of-its-kind cast for a comic book movie” (“How a Marvel movie became one of 2018’s most revolutionary films,” in E-News). Similarly, after naming the lead actors in the film, the inimitable television-and-film superstar Will Smith complimented the cast: “You guys have challenged and, potentially, even shattered a lot of the long-time, long-held false Hollywood beliefs and paradigms” of Africa. This is a great compliment coming from the first African American to be cast as a superhero, John Hancock in 2008. For radio critic, Dr Hughley, the strength of Black Panther is its “positive reinforcement” of Africans and Africa. It was the first time that he has seen so many black people in a film and no one was a slave. He notes en passant that the entertainment industry has decisively shaped the way we think and act. Photo: Actress Lupita Nyong’o plays the role of Nakia in the film Black Panther. In 1957, revolutionary bandleader George Bailey started an artistic movement to reclaim Africa from Hollywood, beginning with his portrayal, “Back to Africa,” which won the Band of the Year title. Interestingly, the favourite for the title was “The Glory That was Greece,” the portrayal by another legendary bandleader, Harold Saldenah. Referencing anonymous “carnival aficionados,” Franco captures the spirit of the late 1950s in interpreting “Bailey’s victory over Saldenah as Africa’s triumph over Europe (colonialism).” This triumph was most emphatically underscored by Kwame Nkrumah’s declaration of the independence of Ghana on Ash Wednesday 1957, the very day after Bailey’s victory. It is to be noted that Niles found it necessary to parenthetically remind readers that Black Panther is all “fictional.” We are, therefore, not surprised that sceptics are already zeroing in on the film. One of these counterpoints with some legitimacy is that of Christopher Lebron who suggests that the plot of the film subliminally ensures that it is not seen as a threat to white supremacy (“‘Black Panther’ is not the Movie We Deserve,” in Boston Review: A Political and Literary Forum). Photo: George Bailey’s “Back to Africa” hits the Port-of-Spain streets during Carnival 1957. So, how far removed from Black Panther is Hollywood’s World War l first colonialist film, Tarzan of the Apes? According to Lebron, it is not far at all. Lebron recalls that, in some of the earlier comic book stereotypes of Africa and Africans, the noblest goals could easily degenerate into chaos. One example of this is the threat to Wakanda’s stability posed by the internecine struggle between T’Challa and his cousin, Killmonger. My prime interest in focusing on the Black Panther film is its value in the discourse on “blackness” and its illumination of “Black” as trope for historicizing the dialectics of black identities. In Part Two of this article, I will attempt to trace some of the major epistemological issues pertaining to “Black” as a problematic ethnographic label. The Black Panther character was created as a Marvel comic book superhero in July 1966 by two American Jews, Stan Lee and Jack Kirby. Lee and Kirby underscore the Jewish control of the American communications and entertainment industries. Why did Lee and Kirby put a “Black” handle to their Panther character? After all, nature’s panther is “any black feline of the big cat family” and may be a leopard or jaguar; In other words, it is superfluous to add black to panther. Interestingly, F Sanquist, writing in National Lifetime Magazine vol. 45, states that the panther’s melanin is a beneficial evolutionary trait, conferring “selective advantage,” meaning that its melanin makes it a greater candidate in Charles Darwin’s evolutionary theory of the survival of the fittest. Not surprisingly, the panther was the perfect totemic animal of the interlocking Civil Rights and Black Power movements in the US, and most likely, influenced the choice of name for the quasi-military and formal political wing of these movements, the Black Panther Party. Four months after the launch of Marvel’s Black Panther in 1966, Bobby Seale and Huey Newton founded the Black Panther Party (BPP). Although the launch of the BPP is a classic example of entertainment determining popular thought and action, the BPP was not copycatting Marvel’s superhero; rather, the party was born out of its own necessity to respond robustly to racially motivated police brutality and the complete disdain for Black lives throughout the USA, especially the public assassination of Malcolm X in February 1965 and the police killing of teenaged Matthew Johnson in San Francisco in September 1966. It could be safely said that Johnson’s killing was the final straw in the founding of the BPP. The Black Panther Party claimed that it embraced violence as a last resort because the panther attacks only “if the aggressor strikes first.” Essentially, the BPP pursued a Garveyite programme of self-empowerment in establishing free health clinics and other social programmes across several states to support and empower the less fortunate. 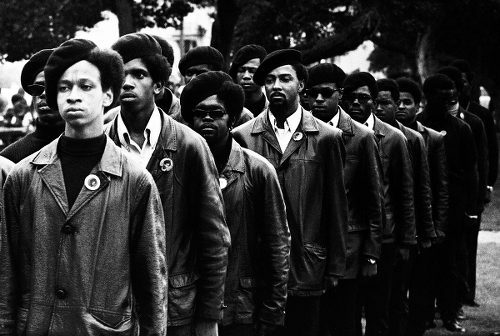 Photo: Members of the Black Panther Party. If anything, the BPP’s connection to Kirby and Lee’s creation is symbiotic. The Marvel comic character most likely lent its name to the BPP, but reciprocally, the agenda of the BPP is infused in Marvel’s Black Panther, as demonstrated in the preoccupation of the character N’Jobu (Sterling Brown) with acquiring vibranium technology to help African Americans overcome racism and other forms of oppression. Film critic Lebron confirms that the parallel reflects the revolutionary potential of the BPP. Although the BPP was a reflection (at least in name) of Marvel’s Black Panther, the highly positive reviews of the film are all the more surprising in light of the fact that it readily recalls the heady days of the BPP, the nemesis of the FBI and white police establishment. The Black Panther of 1966 was a departure from earlier comic book representations of black people. 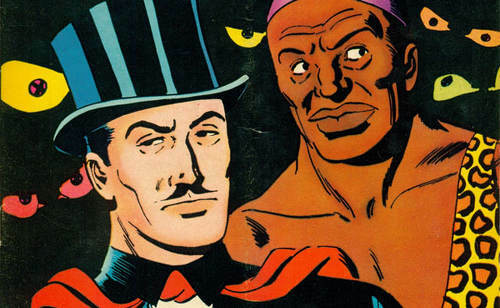 In the 1930s, Lee Falk, another American Jew, had created “Mandrake the Magician” (allegedly, America’s first superhero) and “The Phantom,” arguably the two most popular comic book characters prior to the age of Marvel. In both series, a white superior human is assisted by a black sidekick, Guran and Lothar respectively, whose most iconic trait is unshakable loyalty to and protectiveness of their white bosses. Photo: Mandrake the Magician (left) and his assistant Lothar were the main characters of Lee Falk’s famous cartoon series. In 1940, a third major comic book series, “The Spirit,” was launched by another American Jew, Will Eisner. His main characters were faithful to the white supremacy-black subordination motifs: a white detective, Denny Colt (The Spirit) and his black sidekick, Ebony White, a sort of Minstrel character (as the name itself implies), reflecting perfectly the three-fifths electoral value of African Americans: his is short in stature, with huge lips, bulging eyes. It should not be left unnoted that, prior to Marvel giving the world the Black Panther superhero in 1966, they had appropriated and whitewashed another black hero for themselves, Spider-Man/Spiderman, four years earlier. In Africa and the African diaspora, Anansi, the spider god-spider man, was always black until his reincarnation as Marvel’s Spider-Man, complete with the spider logo that any visitor to Cape Coast Castle could see painted on a short stela in the front courtyard. Both the Black Panther and Super-Man characters enshrine fundamental aspects of African spirituality, that is, the assimilation of human and animal nature. Among the most iconic of these manifestations are the great Kemetic/Egyptian deities; three of them are Heru/Horus, the Falcon god; Ma’at, the winged goddess of cosmic harmony, political ethics and societal morality and Tehuti/Thoth, the Ibis-headed god of wisdom and guardian of the scale of truth in the judgement of the soul in the passage to the afterlife. Anansi is an original Akan (Ghanaian) spiritual concept materialized in Spider-Man. 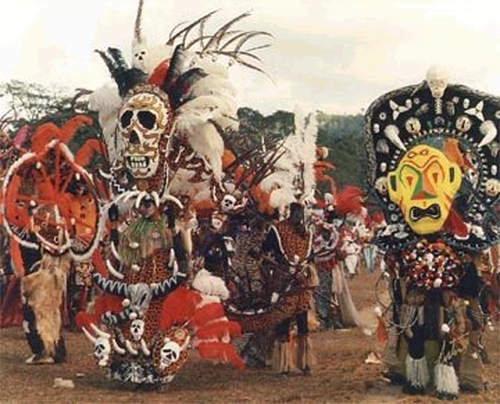 West African and West Central African folklore abounds with these spiritual elements, representing both sides of the moral-ethical universe, many of which have survived in the folklore of the Caribbean. Photo: Anansi Spider is a key figure in African and Caribbean folklore. The Jewish-White capitalist subversion of these African manifestations contributed nothing to black empowerment and pride. 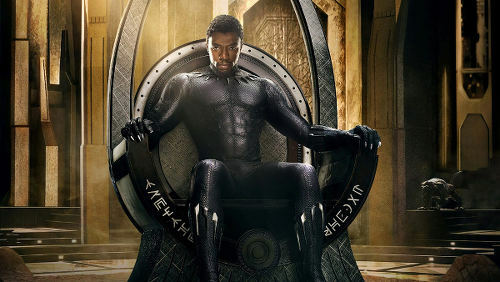 Most critics so far agree that Black Panther 2 has changed all that. Only time will tell. I am convinced, however, that it will take much more than one blockbuster film to eradicate universal racism or even its systems of oppression and injustice in the US alone. Hollywood’s subversion of Kemetic Pharaohs continues with little or no challenge. The same can be said of its subversion of the image of Jesus the Christ and most of the prophets of the Old Testament. Only the liberation of these iconic figures from the current framework of white capitalists’ imagination would mark a true revolution in values by Hollywood. 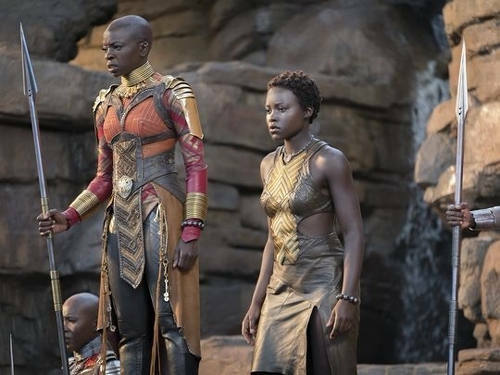 Included in such revolution must be Hollywood’s recognition of the long list of real-life superheroes within Africa and its global diaspora, from Hannibal to Yaa Asantewa and from Toussaint Louverture to the Tuskegee Airmen. 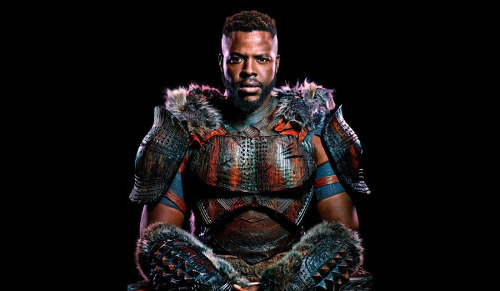 Photo: Tobagonian actor Winston Duke plays the role of M’baku in the hit film Black Panther. Claude’s comments: On Black identity (Pt 2): What Europe did with our African names—and Moor! What is the author’s beef with Jewish people? Very confusing. “Why did Lee and Kirby put a “Black” handle to their Panther character? 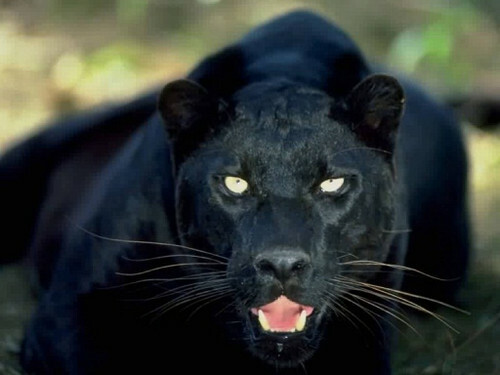 After all, nature’s panther is “any black feline of the big cat family” and may be a leopard or jaguar; In other words, it is superfluous to add black to panther.” Firstly this is wrong, the Black Panther is the black feline, Panthera is the genus. Secondly, why would an author include a quote and not indicate where the quote originates? The actors, directors, crew and many other black people will make money from this movie. And they will continue to make money. It will also encourage Hollywood to invest more into movies with diverse talent. It will inspire a generation of young black boys and girls who never felt they could be anything more than a baby mama or rapper or athlete at best. That in itself invaluable. Don’t be so short sighted. Have you ever wondered how many black people or minorities make money when we support all sorts of different businesses. Do we ask that when we buy iPhones, even we subscribe to a Netflix package, or buy cereal. But suddenly a positive movie with black faces comes out and people are so so concerned that they think the movie should not be supported. Even the act of dressing up is supporting and helping minority women. While the cloth was purchased from Sabga and Co. The seemstress in the neighborhood who is sewing the outfit also benifits. 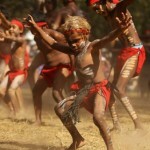 The kid who sees others taking pride in African culture also benifits. Lack of self love and self respect has always been the biggest downfall of black people. So this movie is giving something worth more than money. It’s a just a start, but it’s a good start. I do agree that is the goal but this is the start. Banks will back white producers and give them the money. They took a risk deciding to tell this story. The narrative in Hollywood is that black movies don’t do well and they don’t do well in China. That’s why Disney is doing major marketing in China for BP. So if they prove that black stories sell, black producers will get more money to tell their stories. Well written sir, and great analysis. All the best!! ..Allyuh. Is FICTION yuh know. Power relations and dynamics in the REAL world haven’t changed and won’t because of this movie that is the property of white-owned studio. There. I said it.. ..I am not in media. All I am saying is film-mania does not and cannot not mask reality. Put it this way – while the ecstacy reigns about Black Panther, let”s teach the youth about the REAL Black Panthers. I warrant they never heard of them..
Smh. People actually have the audacity to mention failed attempts at superhero movies and failed heroes such as Blankman, Meteor Man, Catwoman and Spawn??!! And flippin non heroes like Shaft!? And Halle was part of an ensemble PLUS she was a joke in X Men. Oh please! Blade was epic but can a 10 year old relate to the cussin and the gore? Aye! d movie was BOSS! Characters, sets, costuming, scenery, the lovely mix of what I would term the earthy feeling mixed with the sci-fi made it pretty captivating for me. Need to drag boyfriend to go see it as he hasn’t yet while I get double the pleasure. Spiders weren’t always so hated and trampled, once upon a time, they were a huge part of African folklore, introduced to little children at evening fires across Africa. But little did we know, the spiders of African folklore also served as inspiration across the pond for more than one friendly neighbourhood super-hero, Brer Rabbit, and of course, Marvel’s Spiderman. That fictional comic character was inspired by the Kwaku Anansi, a superhuman trickster from West African folklore mythology. He is one of the most important characters of West African folklore, even he himself had wisdom and prowess in speech.Though much of the original stories about Anansi have been lost to time and translation, his legend endures. 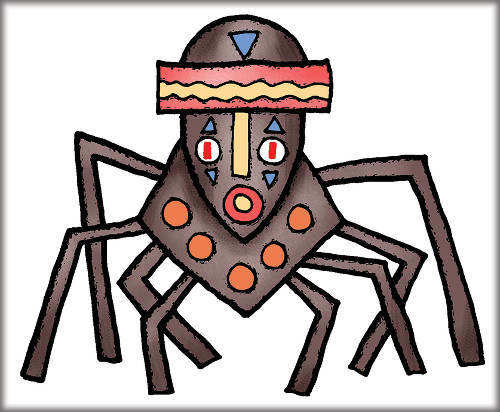 Anansi originates from the Akan people of Ghana and directly translates to “spider” (Ananse). He is now known in the present day as Mr. Nancy (thanks to British colonialists butchering the original spelling), many however still call him by his traditional name and often spell it as Ananse and Anancy. He takes the shape of a spider but is also depicted in many different ways: Sometimes he looks like an ordinary spider, sometimes he is a spider wearing clothes or with a human face and sometimes he looks much more like a human with spider elements, like eight legs. He is considered to be the spirit of all knowledge of stories. Anansi’s story telling abilities even comes to play in his appearance in episodes of Starz’ “American Gods” series. One of its first episodes has Anansi (as played by Orlando Jones and named Mr. Nancy in the series) deliver a prophetic slavery speech. In the scene, the slaves in a boat offshore pay close attention to him while each of them even reply him in their indigenous Igbo language. While the boat catches fire through a candle light, Mr. Nancy (old trickster god of West African folklore in the series too) of course survives and is seen in his spider form at the scene’s end. True to Mr. Nancy’s role in the movie, Kwaku Anansi played a major role in the lives of the slaves. Anansi is able to turn a position of disadvantage into advantage through his art of rhetoric –albeit, cunningly and trickily, just like the quote above– against powerful oppressors, typical behaviour slaves employed in order to gain the upper hand within the borders of the colonialists’ power structure. It’s unsurprising how the Ghanaian god has now become acquainted with the American people, enough to even see him star in American fictional movies like “Spiderman” and “American gods” as America is really no man’s country but more seriously, tales are told of how Anansi crossed to the Caribbean and other parts of the New World with captives via the Atlantic slave trade at the time. The Caribbeans celebrate Anansi as the god of ‘resistance’ and ‘survival’. In the Marvel Comics series “The Amazing Spider-Man volume 2 (2003)”, it is revealed by Ezekiel Sims, a supporting character in the series, that Kwaku Anansi was actually the first ever Spider-Man. Considering the circumstances surrounding the Ghanaian God’s literal name translation into English and even tales that are told of him, it’s only logical to say that indeed Anansi is the inspiration behind the narrative that ties into “Spiderman”. The number of illustrated book, audio and video versions of this one tale shows beyond doubt how successfully Anansi has made the transition into literature and other creative works. That is quite the reach. I worked on designing the Abuja Carnival in Nigeria. Some would be surprised at how much the Trinidad Carnival borrowed from Nigerian culture. Devil and Robber, and here in London, at Notting Hill Carnival, we had a Grenadian band named Grenada Shortney, which was identical in every way with a mas portrayal there in Nigeria. Also the African influence is also quite obvious in Calypso. I took the Trinidadian calypsonian Shadow to a Nigerian concert in London 25 years ago, and as the band struck up, he proclaimed “They playing a kinda thing like Kaiso”. So Nigel S. Scot, the African reach goes further than your ability to make associations. American culture is in its infancy in comparison to Africa. So I won’t be surprised. I can’t say for sure either way. Danny that’s a nice side conversation that perhaps would have relevance in another discussion. My position has nothing to do with *my* ability to make associations, yet another futile attempt at an ad hominem but God bless you, you keep trying. There is nothing in your comment which supports the notion that Spiderman borrows/ed from Anansi. When you’re ready to add to that conversation let us know. Lasana, you would first have to define American culture, comprised as it is as an amalgam of cultures contributed by immigrants the world over. Not that that has any particular bearing on the topic at hand. In order to say that Anansi inspired the idea for Spiderman in any way, one would have to point to similarities in the characters. Anansi is primarily a trickster, known for his intelligence and cunning. Spiderman might be a wise-cracking genius, but the trait is hardly in the same vein as that of Anansi. Anansi’s strength is his ability to outwit his foes. Spiderman relies on his physical abilities and his inventions. If anything it’s a very superficial similarity between the two, in the sense that they are both characters who share human and arachnoid characteristics. Nigel perhaps so. I really don’t know comic books well enough to go any further on that score. Perhaps someone with knowledge of the early Spiderman can chip in as I know characters evolve over time. Clearly Dr Fergus is not the only person who thinks there is a connection though and that story points to someone from the Marvel team who also said so. But I don’t know enough on the subject to make a stronger case than that. Lasana Marvel made a concerted effort to recruit diverse contributors to the comics over the years. This included black artists and pencilers, as well as black writers. For instance Ta’Naheisi Coates was one of the more notable writers of color recruited to contribute to the Black Panther storyline within recent times. I’m not in position to research it right now but very likely the Anansi storyline was an effort by writer of color to educate fans of the Peter Parker character, that long before him there was another “Spider-Man” in the person of Anansi. There is no evidence that I have seen over the years, that Spiderman’s creators borrowed from the Anansi character. In fact, ‘spider’ references aside, Anansi, if anything, bears more similarities to Loki, and other mythological tricksters, than he does to any true superhero… as we have come to know the term. Dear Nigel, view if you will the link between Anansi (on the right) and Spiderman symbols. Not identical twins but but linked, you will agree. Just internet referencing, no reaching necessary. Danny, I am on a ship in the middle of the ocean, with access to social media, but no internet connectivity otherwise. But the attempted shade is noted. Once I have access again I will conduct proper “research.” I might even find more relevant evidence one way or the other, aside from similar takes on a ubiquitous and universal arachnoid symbol posited as proof. Nigel S. Scott, not proof but merely an indication, as needed to prove that the one influenced the other. Kwaku Anansi is a completely separate Marvel character… unrelated to the Peter Parker web-slinger. This of course does not mean that marvel was not inspired by the NFC tail but if they were they certainly don’t concede the origin as suggested by Professor Fergus. Understand that though it was not the first superhero movie featuring a black lead the comic book was. And Michael Jai White wasn’t the first. Robert Townsend in Meteor Man and Damon Wayans in Blankman came before. You missing the point. It not celebrating black superheroes. It’s about showing Africa in a positive way. Showing what Africa could have been without colonialism. Also portraying Blacks or African men And women as powerful, royal, intelligent, drug free, ghetto free characters. Also did anybody want to meteor man or blankman? Kids wanted to be Batman(rich), Superman (powerful and represents the best of America)etc. now we have a wealthy African King with superpowers. Exactly Daryl Richardson no-one wanted to be Blankman, or Meteor Man, that is why Black Panther is so important, don’t know why people can’t get that. A superhero from Hell, a joke or vampire. U learn something new everyday!! WRT to superheros and race, Spawn featuring Michael Jai White preceded the Blade trilogy and he was Black, a superhero and based on a major comic book (albeit not Marvel or DC). Significant …. and loved every moment of it!! Maybe why comic hero is so significant because the home heroes are missing? It’s not a black or white thing it’s a lack of thing. Reaching is putting it mildly Kion…and I highly doubt it but it couldn’t hurt to ask and I’d really like to hear his perspective. Magnificent Seven, The Ring… The list is extensive. And across several genres. From westerns to action to horror to comedy to musicals and drama. That came out in 2003 though. I don’t think it has much to do with the original concept of spiderman. After years of telling spiderman stories, it seems like they were trying to make it more accessible to more people. i don’t understand. He said first ever. He didn’t say inspired the 2003 version. I’m not a comic book geek anyway. Not my thing. But just like the British empire searched far and wide to fill their museums and treasure chests, Hollywood and American culture also regularly takes inspiration from far flung places. I mean American culture is still in its infancy compared to Africa. So I don’t think the notion is so radical at all. Having said that I’m not making an open and shut case. I don’t know the truth. All I will say is nothing I’ve seen so far rules it out. Ok… so who was? Once you state who was then we all will be informed! Fair? Fair enough … I believe it was Wesley Snipes for Blade. Ironically there was an attempt to create black panther before and he was the actor listed to play the role but it never materialised …..
Malik I didn’t consider Blade to be a superhero myself. Now, we have a debate… time to do some research, right? Shaft, Trouble Man, Superfly, Cleopatra Jones and the other Blaxploitation characters deserve consideration then. Malik Johnson I did like Blade, especially the first movie but… forgive me, I never considered Blade a superhero in the sense of Superman, Spiderman, Batman and the like. Maybe, I need to take another look at the Blade series. Looking at who defines and presents “superheroes” for us too is critical. Kenneth … that’s exactly the point the media never hyped up black superheroes. They either underplayed them or portrayed them in poor light …Blank man (clown) …. Meteor man …. Hancock (essentially a comedy action) all with no comic book affiliation not meant to take us seriously. Blade has a comic book affiliation as a superhero but alot of people don’t know that. Even the movie itself (and it was a good movie) had around two black actors that I could remember. Deryck thanks! That’s what I’m thinking mihself. Malik Johnson I remember Meteor Man! I was probably the first to see it (hoping it was a serious superhero movie at the level of Batman & Superman) in NY but I was grossly disappointed. Chose not to see Blank Man. Saw Hancock, not realizing it was a superhero type movie, and liked it but something was missing! Black Panther, on the other hand, has strong comic book affiliation and attracts us (of African descent). Black Panther fills a gap, an emptiness, a thirst sorely needed to be fulfilled. Migrating to London as a ten year old, I soon realised why all the super heroes were White. I went to a school in London where Whites out-numbered Blacks 30 to 1, and can’t remember ever seeing a White boy win a race. And I have recently chaperoned seventeen years of my two daughters’ schooling, and again I don’t remember seeing a White girl win a race. Then as now, super heroes were needed to give young people something to aspire to. Danny so it is the only way they can imagine getting a gold medal? Lol. That is their response to Muhammad Ali, Jesse Owens, Michael Jordan, etc… interesting notion! Lasana, if you look at British representation they now only invest in low-sporting sports that they can create a character building comic-book narrative for. But Blade is a Marvel super hero tho…. I just didn’t realise that Blade was significant in that way. Noted. Well considering the super hero culture came from comic books it’s safe to say the default to who’s considered one is from, well, comic books…but daz just me…. Nicole I conceded as much. But I’m still pushing for Bolt, Lara and Supers! If we’re talking black comic book heroes to film, Steel and Spawn (both 1997), predate Blade (1998). Of course, neither of those movies were particularly good and you could argue that Spawn’s blackness was incidental. If you want to bring Meteor Man, Blankman etc. into the conversation, it’s worth mentioning that more than anything else, those movies reinforced the Hollywood stereotype that movies starring black leads and with black casts, do not do well at the box office. ^^^ Malik finally corrected the record, Blade is a Marvel superhero. Arguments have been made for Meteorman, Blankman, Hancock and Steel (John Henry Irons- DC superhero who briefly took over from Superman after the death of Superman). Aside from that, this professor serious with this talk that Spiderman and Superman thief from Anansi talk? Steups. What part of Superman incorporates animal characteristics? Doing entirely too much. Also of note, Blade is a Marvel character, but the Blade films were made by New Line Cinema and not Marvel Studios. New Line owned the rights at the time and so those films technically aren’t part of the MCU. The Marvel Cinematic Universe began with Iron Man in 2008. Hence the promotion of Black Panther as “Marvel’s first black superhero movie”. I just didn’t assume that everyone with some super powers was considered a superhero. In fact I thought being a vampire was part curse. But if he has the Marvel stamp of approval, then who am I to judge? Allyuh opening the window for Harry Potter to be declared superhero. I’m warning allyuh! Lasana Liburd I want to debate Baldy, where him?? ?‍♀️Tell him ah looking for him? They might be reaching a little bit with Nadiyah Be. Nigel S. Scott she not a Yardie? Jimmy Cliff is her father, but from what I know she was born and raised in Brazil.